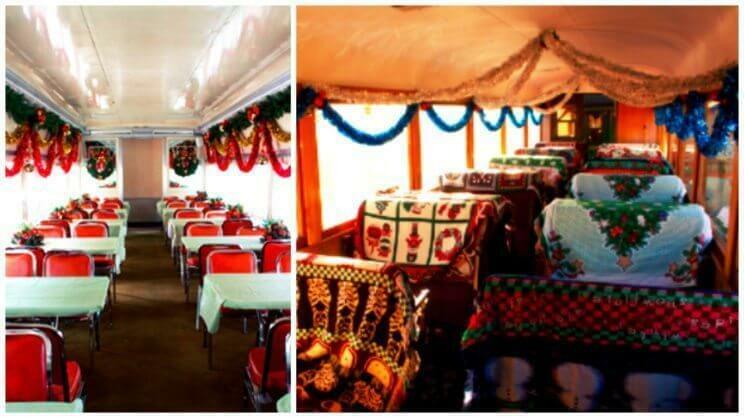 The story of THE POLAR EXPRESS™ is being theatrically re-created so you and your family can be immersed in the sights, sounds and intrigue of this classic children’s tale. Prepare to be surrounded by the magic and wonder of the holiday season! 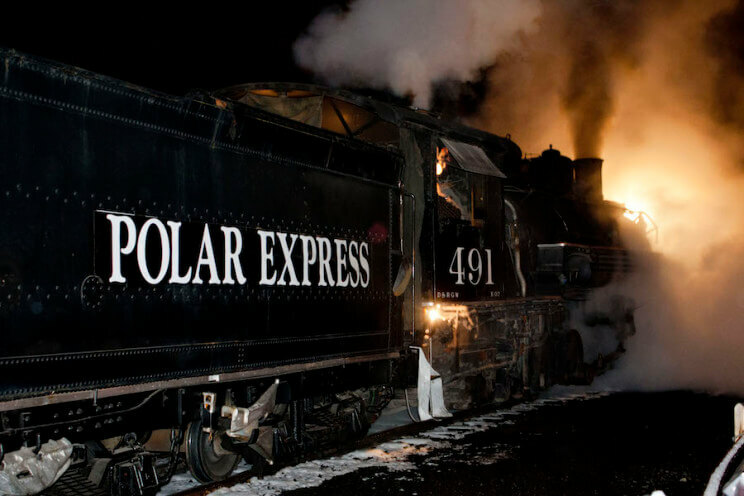 Embark on a magical train ride at the Colorado Railroad Museum with the THE POLAR EXPRESS™ Train Ride! Adults and kids alike can enjoy this special event from Thursday, November 10th through Friday, December 23rd 2016. As you and your family take in the festive holiday decorations at THE POLAR EXPRESS™ Train Ride depot, you can almost hear the faint sound of sleigh bells in the distance. Visitors will be greeted at the main entrance and will receive their souvenir “Golden Tickets” before being directed to their performance area. Before long, scenes from the story come to life as dancing chefs and waiters arrive to serve cookies and hot chocolate. The children are invited to engage these winsome and inviting characters who are eager to hear from the youngsters about what makes the Christmas season special to them. Then, THE POLAR EXPRESS™ is performed in its entirety. After the storytelling concludes, the train conductor invites you and the other passengers to assemble on the platform as your train arrives in a billow of steam. Once your adventure begins, you will notice other key elements of the story — both inside and outside your railcar — springing to life. Watch and listen as another scene unfolds onboard before your eyes. Upon arrival at the “North Pole,” keep your eyes peeled for Santa’s sleigh, a bag of toys and a giant Christmas tree. After the train slows to a stop, you find yourself delighting in the inspiring climax of the story as it takes place right outside your window. Children softly gasp as Santa presents “The First Gift of Christmas” to the young Hero. After the train departs the North Pole for the return voyage to the Depot, you soon notice that the adventure isn’t over. Santa appears in your midst to present each ticketed child with their very own “First Gift of Christmas” souvenir bell. Thinking back to the story, you are inclined to remind the children to check their pockets for holes. The Polar Express Train Ride showtimes are 5pm, 6:30pm & 8pm. Each performance will last approximately 75 minutes. * Please arrive 30 minutes early for your designated performance *. Features: Hot chocolate, souvenir mug, the telling of the story, a train ride to the “North Pole,” meeting Santa, and ticketed children receive a “First Gift of Christmas” bell. 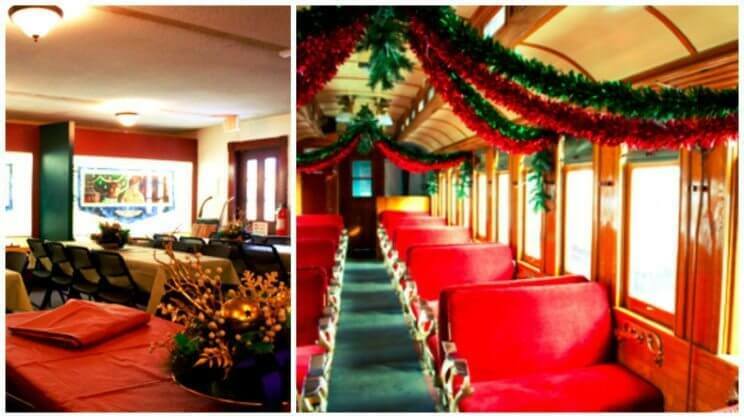 Performance Area & Train Cars: The Polar Express Depot and Denver & Rio Grande Western Passenger Coach No. 284. Psst… The Candy Cane Depot provides close access to the restrooms. Performance Area & Train Cars: Union Pacific Passenger Coach No. 5442 and White Pass & Denver & Rio Grande Passenger Coach No. 280. Performance Area & Train Cars: Union Pacific Diner Car No. 4801 and White Pass & Yukon Lake Dease Passenger Coach. 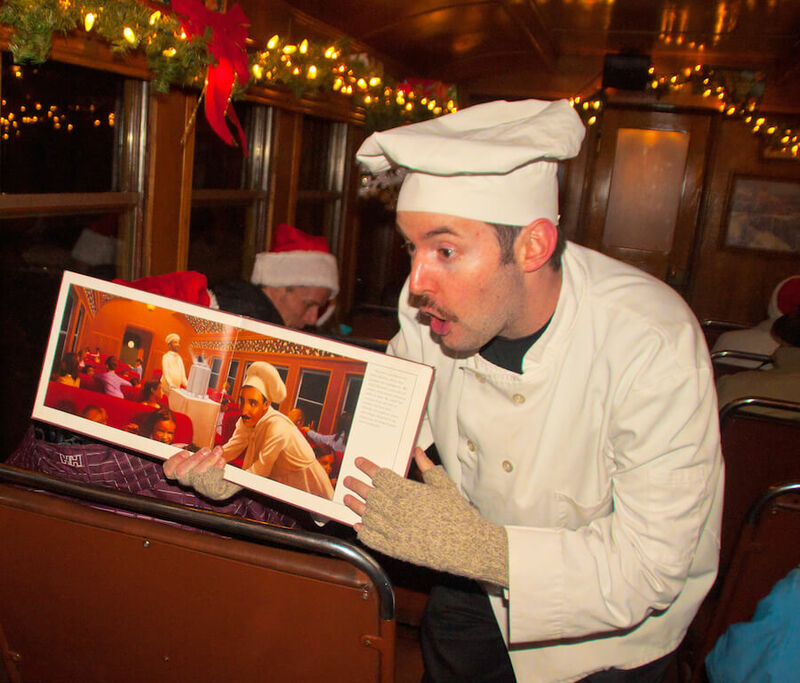 Features: hot chocolate, souvenir mug, the telling of the story, a train ride to the “North Pole,” meeting Santa, intimate seating in luxury 1880′s private cars and ticketed children receive a “First Gift of Christmas” bell. 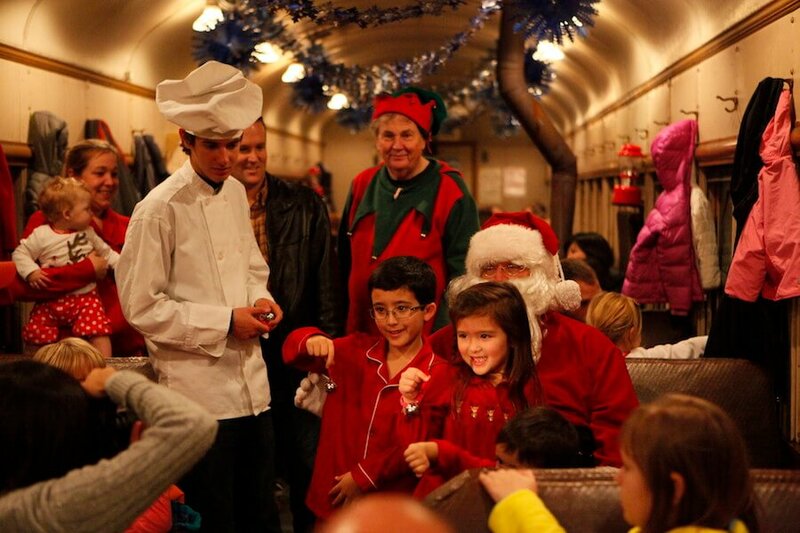 Each ticketed family will also receive an exclusive copy of THE POLAR EXPRESS™ book signed by Santa himself. Performance Area & Train Cars: CB&Q Business Car No. 96 and D&RGW Business Car No. B-8. 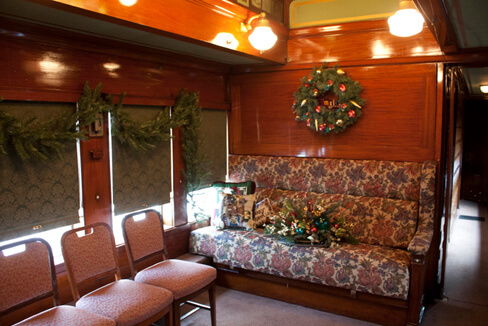 For more information regarding THE POLAR EXPRESS™ Train Ride, visit: coloradorailroadmuseum.org. 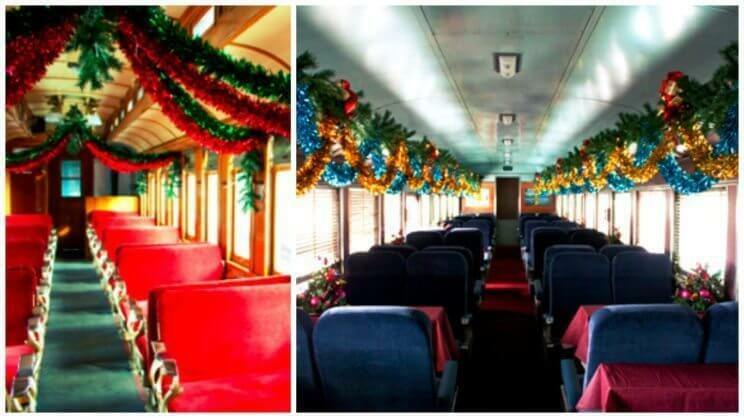 Official THE POLAR EXPRESS™ Train Rides are licensed by Rail Events, Inc. on behalf of Warner Bros. Consumer Products, Inc. 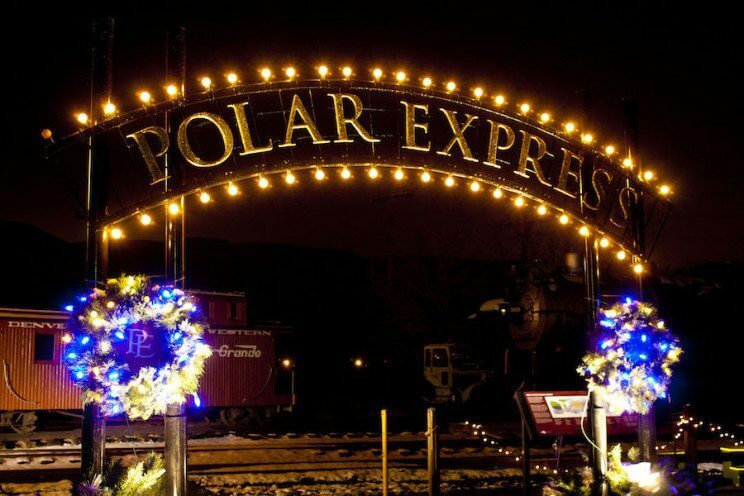 Since 2005, Rail Events, Inc. has held the exclusive license to operate THE POLAR EXPRESS™ Train Rides in the US, Canada, and the United Kingdom. THE POLAR EXPRESS and all related characters and elements are trademarks of and © Warner Bros. Entertainment Inc. Based on THE POLAR EXPRESS book and characters TM & © 1985 by Chris Van Allsburg. Used by permission of Houghton Mifflin Company. All rights reserved.